Are there too much suggestions for an ideal destination for this September that make you confused? But in fact, Vietnam is still a good place in this season. Here is a list of 5 best places to visit Vietnam in September. September is nearly the end of summer, so rain becomes more frequent, interleaves hot and dry day. In the central reason, wet weather increases with more rain. Both in the northern and southern part, there is less rainfall expected, less and less rainfall as the month progresses. Though temperatures are still high but you can expect number of dry and bright daylight hours to visit the south of Vietnam. In the mountains of Sapa, you can go trekking this time thanks to good weather. It’s wet in the south but rainfall is decreasing a lot in Phan Thiet, Mui Ne, Ho Tram, Long Hai, Con Dao, Phu Quoc, Mekong Delta and Ho Chi Minh city. You can also still expect many dry and bright daylight hours with the average temperature of 28 degree. Although it is coming towards the end of its summer in the North Vietnam but there still has hot days as well as some rain. Temperature is at 28 degree in Ha Giang, Ninh Binh, Mai Chau, Ha Long Bay and Hanoi. Moreover, in the far north the weather in Sapa is begin improving so you can make a trekking there. 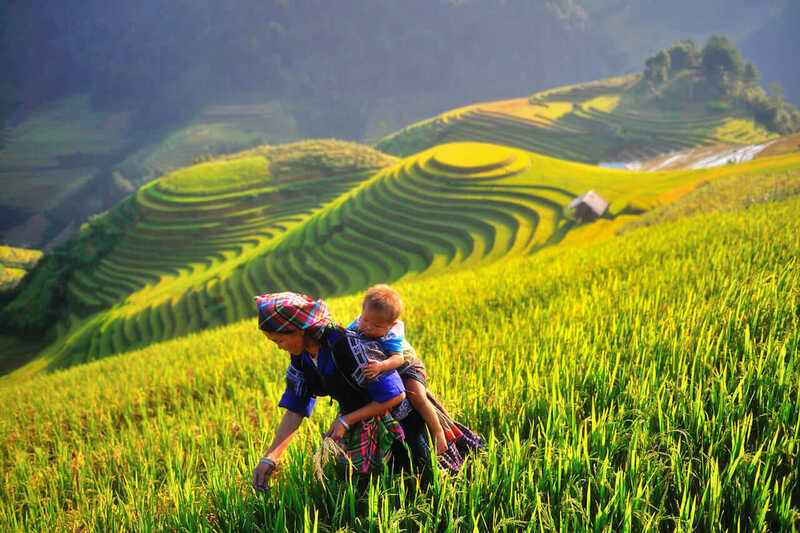 This is a picturesque time of year to arrive Mu Cang Chai once it is ready to harvest. However, we do not highly recommend Ha Long Bay or Cat Ba islands in this list as it is storm season in September. In September, it starts to increase rainfall in the central Vietnam as Da Nang, Hoi An and Hue. This is time of storming weather, temperature drops a little with the average of 28 degree. Rain is on the increase in Nha Trang and Quy Nhon. Besides that, trekking is not suggested because of wet weather in Dalat and Central Highlands. 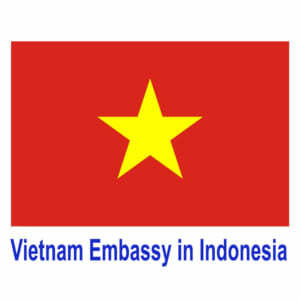 Is September a good time to go to Vietnam? Let’s take a look at this 5 best places to visit Vietnam in September! Among the landscape of Vietnam, Hue is ranked first in list 5 best places to visit Vietnam in September. This last imperial city located by Perfume River. Once you come to this most poetic and romantic city, you can not miss Bach Ma. 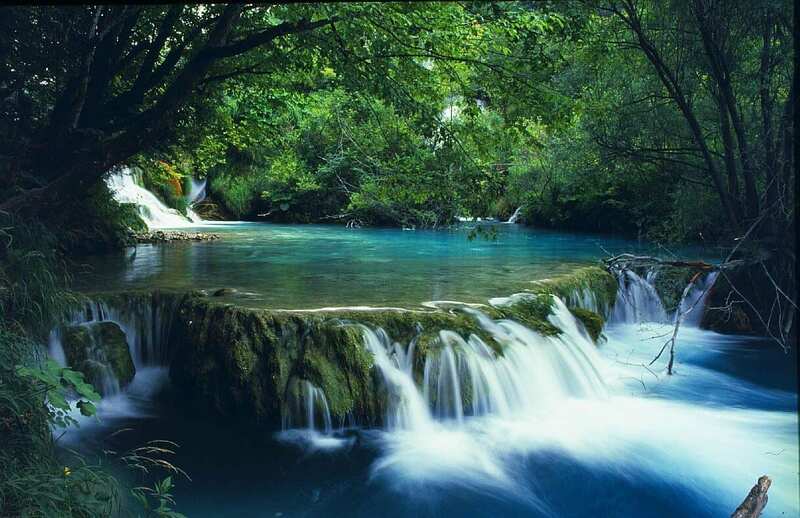 Bach Ma National Park is one of the m to ost well-known areas of admirable natural scene in Vietnam. A trekking to Bach Ma National Park to enjoy wildlife, history and photography, take a breath that full of fresh air will become incredible experience for visitors. Going there this month, you may have an opportunity to see the red carpet of azaleas that bloom beautifully all the way. Especially, Truc Lam Bach Ma Zen Monastery is a spotlight here with peacefully natural landscape. 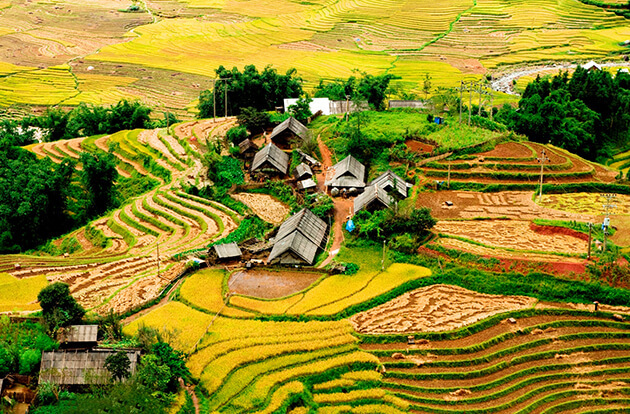 We advise you to visit Mu Cang Chai due to its particularly picturesque time. It’s an surprise to see endless rice fields which is turning into a golden color in this region. 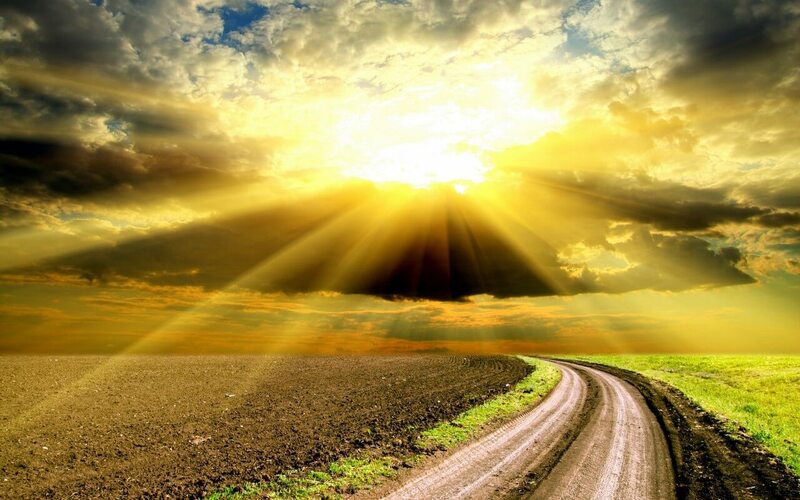 When fields are ready to be harvested, they turn brilliant yellow and shine in their fullest beauty. This is also a chance for visitors who want to know the life style of Mong Ethnic minority farmers. Every morning, they go to work in their traditional attire, harvest ripe rice grains. Thanks to weather condition in Mekong Delta, September is the great time to visit this place when there is less rainfall than previous month and the weather is extremely warm. If you are fancy with nature, Mekong Delta is the third one in 5 best places to visit Vietnam in September. This is a special area which plenty of rivers and channels, variety of delicious fruit. 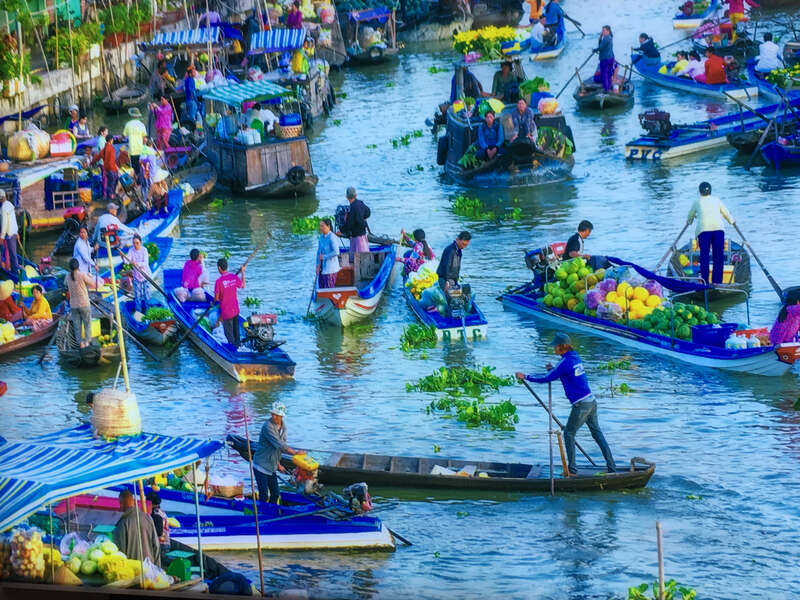 Visitors often take cruising tour through many floating markets of Cai Be, Cai Rang to explore a busy life of the local in rivers every morning; riding a bike across rice fields and villages. You can also choose a homestay instead of hotels to experience their daily life. Although Hanoi is always a must-visit place in every plan but in September, this place may be a highlight. This is the season of Alstonia scholaris – a typical flower that blooms in autumn, so you can enjoy the gentle scent on the street of Hanoi. 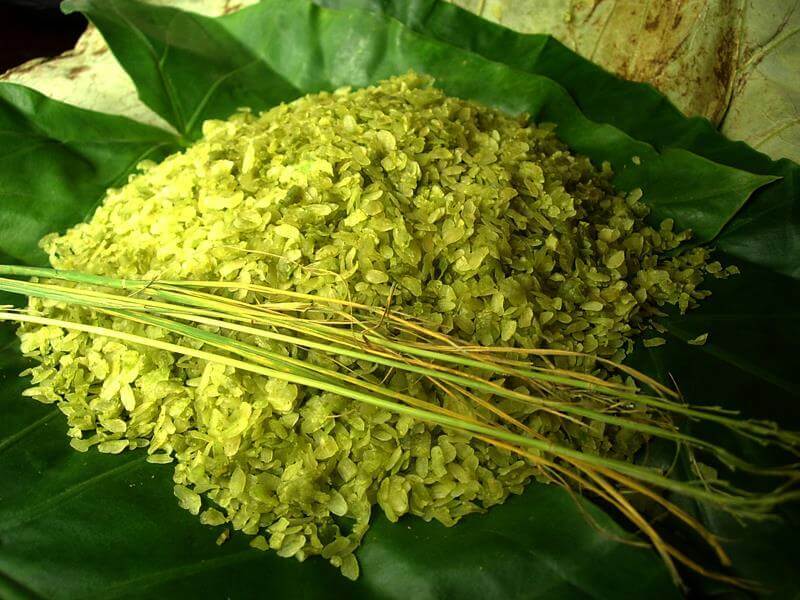 In the cool weather, trying “Com” – green rice flakes or grilled rice made from unripe sticky rice will become an experience of your trip to Vietnam. Hanoi is an historical destination, this is now a capital of Vietnam as well. No matter you like modern of cultural sightseeing, Hanoi can offer both for you! 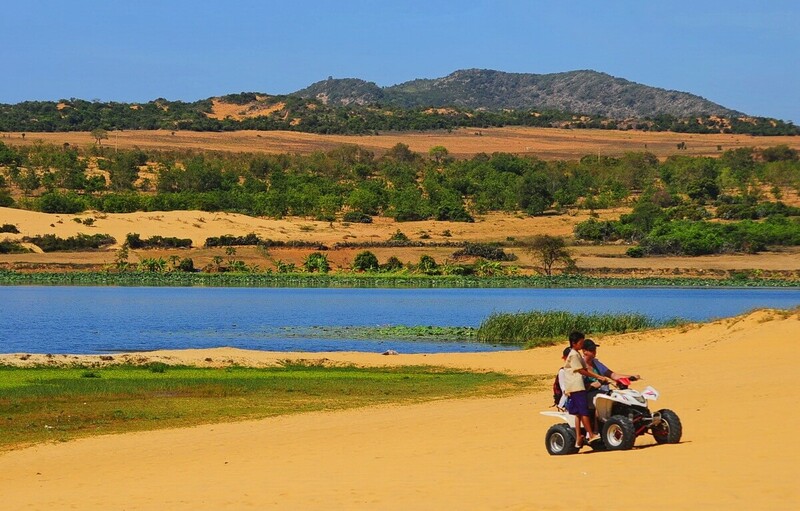 Located in the central part of Vietnam, Mui Ne is a promise destination beside Nha Trang. If Nha Trang is famous for clean beach, blue clear sky, Phan Thiet is illustrious with shady roads under coconut trees, vast sand dunes, lush rows of palm trees and cliffs battered by the waves of the sea. The two popular beaches in Mui Ne are Suoi Nuoc Beach and Ganh Beach, a plenty of resorts, restaurants and shops will give you the best services ever. Some well-known places here are Fairy Spring, Hon Rom beach, Cham Temple – Poshanu and fish market. Apart from lying in the beach, swimming in the water, you can join many funny activities such as windsurfing or kitesurfing thanks to strong sea breezes here.